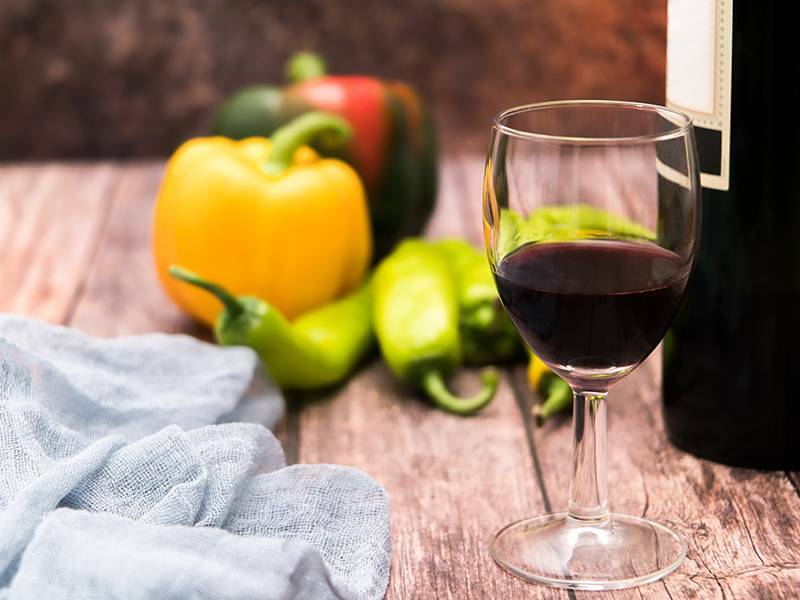 Why Does My Wine Taste Like Vegetables? - City Vino, Inc.
Why Does My Wine Taste Like Vegetables? Most people expect wine to have various fruit flavors, but vegetable flavors? What’s up with that? The answer is a class of chemical compounds called pyrazines. These compounds can add flavors like green bell pepper, jalepeno, and asparagus to a wine. There are a handful of grapes that tend to have a higher quantity of pyrazines and for which these green flavors are considered typical. They include: Sauvignon Blanc, Cabernet Franc, Cabernet Sauvignon, Merlot and Carmenere. Climate, vineyard management practices, and winemaking practices can all greatly influence the degree to which these flavors show up in the finished wine. At times, these flavors can come from picking grapes before they are fully ripe, especially with the red varietals listed above, which require lots of heat to fully ripen. However, studies have shown that there’s no measurable decrease in green flavors for grapes that are left on the vine past the point at which they are fully ripe. Winemakers are often challenged in the vineyard to find the right balance of how much fruit to grow in order to produce enough wine to make money, but to not grow so much that the fruit does not have enough flavor concentration. Managing pyrazine flavors can factor in here as well. Studies have shown that vines that produce more grapes will have less pyrazines than vines that produce fewer grapes, but having fewer grapes can often be desirable for more overall flavor concentration. Green flavors in Sauvignon Blanc have become a hallmark of the styles of wine produced from that grape. Red wines from Chile are also often known for having a distinct vegetal note, due to the cooler climate. While those flavors may be considered acceptable as part of the overall flavor profile, too much may be considered a fault. Virginia Cabernet Francs tend to exhibit vegetal notes that you don’t find in Cabernet Francs from Loire or California. Whether or not these flavors are bad or desirable is hotly contested and largely up to the winemaker and individual consumer. It just depends on what you like.